Nora Lustig is Samuel Z. Stone Professor of Latin American Economics and Director of the Commitment to Equity Institute (CEQ) at Tulane University. Professor Lustig’s research focuses on economic development, poverty and inequality, and social policies in developing countries. She is also a Nonresident Fellow at the Center for Global Development and the Inter-American Dialogue. She has published more than seventy articles and fifteen edited volumes and books. Her current research is centered on assessing the impact of taxation and social spending on inequality and poverty in low and middle income countries, and on the determinants of income distribution in Latin America. Prof. Lustig is a founding member and past president of the Latin American and Caribbean Economic Association (LACEA) and was a co-director of the World Bank’s World Development Report 2000, Attacking Poverty. She is the editor of the Journal of Economic Inequality Forum and a member of Society for the Study of Economic Inequality’s Executive Council. Prof. Lustig has served on the Atkinson Commission on Poverty and on the High-level Group on Measuring Economic Performance and Social Progress. Prof. Lustig serves on the G20 Eminent Persons Group on Global Financial Governance. She received her doctorate in Economics from the University of California, Berkeley. 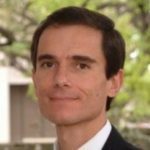 Ludovico Feoli is the Director of the Center for Inter-American Policy and Research (CIPR) and a Research Associate Professor in the Stone Center for Latin American Studies and the Department of Political Science at Tulane University. His research interests include the political economy of market reforms in Latin America, institutions and institutional change, and the quality of governance. He is currently the executive director of the Centro de Investigación y Adiestramiento Político Administrativo, CIAPA, in San José, Costa Rica. He has served as country expert for the Bertelsmann Transformation Index and a researcher for the Proyecto Estado de la Nación in Costa Rica. He received his PhD in Political Science from Tulane University in 2007. 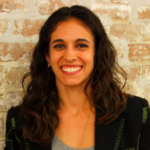 Samantha Greenspun is a PhD student at the Stone Center for Latin American Studies at Tulane University. Her current research focuses on the impact of taxation and social spending on gender inequality in Mexico. Samantha holds a BA from Gettysburg College. Thank you to our partners for making the Commitment to Equity Institute’s research possible.